Take a closer look at this chain of little Islands wonderfully surrounded by the Blue waters of the Atlantic. Have a taste of Bermuda’s distinctive culinary creations, savor fish in most menus and more surprising international flavors. 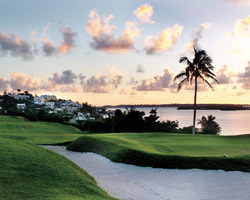 From simple home-style establishments to luxurious gourmet restaurants, Bermuda has it all. Awaken your senses with sweet Bermuda nights, relax with a cold beer in one of the pubs and bars or, warm yourself up in Bermuda's dance floors, and feel the overwhelming beauty of a place that rises above the surface of the sea. 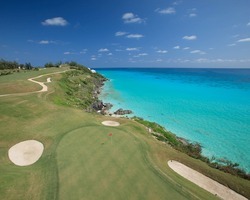 Come to Bermuda or miss some of the world's best. A day's trip around is certainly not enough to see the best what this beautiful string of Islands offer. Treat your family and friends to a duty free shopping to Bermuda's specialty stores and upscale shopping in Hamilton and St. George. Have a taste of world-class golf and indulge in all that this mid-Atlantic jewel is best known for, in food, art, crafts, perfume, china, porcelain, silverware and more! Experience a Bermudiana lifestyle now or never. Come, stay here in Bermuda. Let Golf Zoo show you the islands amidst the Atlantic Ocean well-known for its cerulean waters, the sanctuary of every colorful fish nurtured by a fantastic coral reef and scores of well-kept shipwrecks to satisfy the ocean adventurer. You may want to let loose and jump on a water scooter or go sport fishing. And for peace and quiet seekers, Bermuda's miles of pink sandy beaches and heavenly resorts and spa will serve your whim. Relax with warm ocean breezes, keep the flame of romance burning and fall in love with a paradise that is simply breathtaking. Designed by world-renowned architect Robert Trent Jones Sr. and opened for play in 1970, Port Royal Golf Course is recognized as one of the top public courses in the world. In preparation for hosting the annual PGA Grand Slam of Golf each October, the course underwent a a complete makeover on 2010 spearheaded by original Robert Trent Jones design team member Robert Rulewich. With Atlantic Ocean views from nearly every hole, Port Royal is Bermuda's most picturesque course - and longest at 6,842 yards. The course borders tranquil lakes, Bermuda Cedars and rolls across perfectly conditioned fairways reaching up to undulating greens. Significant elevation changes and hole contours require a unique combination of power and distance, finesse and touch. Port Royal's signature hole No. 16 is widely regarded as one of the greatest par threes in the world. The 235-yard (tips) beauty features nothing but the Atlantic Ocean and craggy coastline between the tee and the green. Experience it for yourself and you will understand why designer Robert Trent Jones, Sr. has been quoted as saying that Port Royal was his finest course design outside of the mainland U.S. 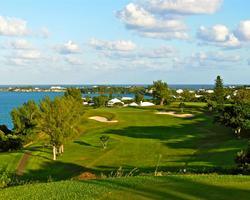 The 18-hole, par-70 Tucker's Point golf course is the island's premier golf experience. Originally designed in 1932 by architect Charles H. Banks, the course has since been updated by Roger Rulewich - the former chief designer for Robert Trent Jones and has received high praise from golf media and golfers from around the world. Golfers traverse undulating fairways with many elevated tees, while coping with the varying speed and direction of Atlantic Ocean breezes. Many holes and greens boast dramatic water and overland views, and the greens feature tour quality TifEagle hybrid Bermuda grass for smooth and quick putting surfaces. Tucker's Point is pristinely manicured, receives consistent high praise for quality of its greens, and maintains impeccable condition of its playing surfaces year round. Belmont Hills Golf Club is a semi-private resort course that offers a demanding round of golf on pristine, intensely bunkered, multi-tiered U.S.G.A. greens overlooking Bermuda's famous turquoise blue sea. Professional course designer Algie M. Pulley Jr. moved mountains to design the Belmont Hills course. Literally. The veteran architect found an existing layout that was largely featureless. 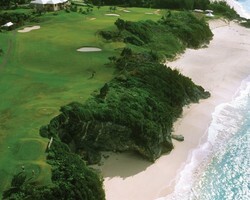 But after the most extensive golf course rebuilding project Bermuda has ever seen, a new topography and popular course emerged. Pulley created a magnificent, contoured layout that maximizes the golfer's experience while showcasing the Island's captivating beauty. Panoramic views of Hamilton Harbour and the Great Sound provide the backdrop for some of the finest 18 holes on the Island. Belmont Hills' greens are built to U.S.G.A. standards and sprigged, naturally enough, with TiffEagle Bermuda Grass. And although Bermuda has its fair share of sand, Belmont Hills' bunkers hold the same sand Master's players try to avoid at Augusta National. Water hazards come in to play on several holes, which is unusual for a Bermudian course. (Bermuda doesn't have any natural creeks or rivers and only a handful of freshwater ponds). Two large ponds complement the dramatic rolling landscape. Two golf course design masters, one world-class golf course. In the early 1900s, Charles Blair MacDonald, foremost golf architect in the United States at the time, hankered for an opportunity to create one of his legendary courses overseas. When Furness Withy Steamship Company approached him about designing a golf course and a hotel on Bermuda to expand its tourism, he leapt at the chance. In 1919, Furness Withy set sail to Bermuda with Macdonald and Charles Wetmore, a leading architect of hotels. After careful analysis of the island, the two architects chose Tucker Town as the ideal venue, and 600 acres there were eventually secured. Despite numerous design and construction challenges posed by the terrain, the course was completed on December 15th, 1921. It was heralded by MacDonald as one of his greatest achievements, and he boasted of the "beauty, charm and excellence of the links". In the 1950's, Robert Trent Jones was chosen to update the original Macdonald design, and after subtle rework of teeing grounds, bunkering and a number of greens, a true masterpiece emerged. Playing to a length of 6,542 yards, Mid Ocean Club features rolling fairways with significant elevation changes and well-protected, undulating greens. The par-5s are quite challenging but reachable, the par-4s are medium length and the par-3s maintain their 90-year old challenge to golfers of all skill levels. The dedication to excellence and the unwavering devotion of its members, remains as true today as the day the club came to be.